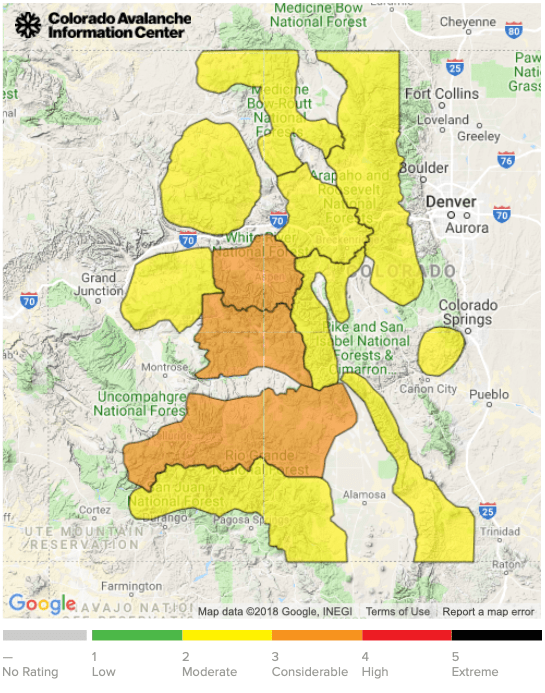 The Colorado Avalanche Information Center warned there are some areas of Colorado with considerable avalanche danger. In videos posted to their Facebook page, forecasters demonstrated just how easily a weak layer of snow can create a thick slab ready to slide. The videos on their Facebook page were made while surveying parts of Ptarmigan Pass near Vail and the Sawatch Range. Between Nov. 28 and Dec. 2, there were 54 reported avalanches in Colorado. Click here for 58% off!